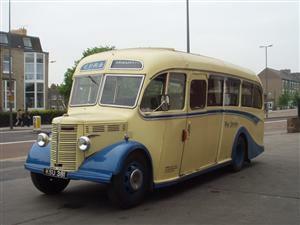 Did you know that East Yorkshire Coaches have a fleet of vintage vehicles available to hire, as well as modern luxury coaches and buses? They're perfect for arriving in style at weddings, anniversary parties, proms and corporate events. First, we have our Bedford OB. This pretty 1949 coach is a favourite with wedding guests, especially when decked out with flowers and ribbons! Seating 29 people, it's sure to bring back memories for the older generation. 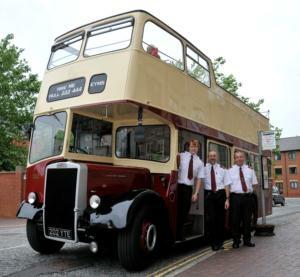 Next, it's our iconic 'Beverley Bar Bus'. This AEC Regent has a specially 'domed' roof made especially so it could fit through Beverley Bar. Seating 52 people, this bus was made in 1956. 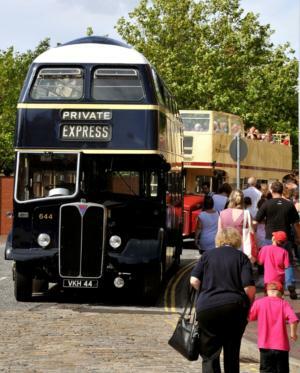 We also have some vintage open top buses available to hire, including an open top Routemaster. Possibly more suited to spring and summer events (although they have done tours around Hull city centre at Christmas! ), they're great for getting guests between wedding venues in style. And, of course, we also have more modern vehicle for hire, including luxury coaches and double-decker buses.